SUBSCRIBE TO MY BLOG HERE! Keeping Keto Simple: The 4 things that guarantee success. “My New Normal: Reflections of a Stroke Survivor” A book review. Keeping Keto Simple: The 4 things that guarantee success. – Here's What I Think… on You don’t have to exercise, but you should. How to (easily) build a habit. There are two phenomena that I observe too frequently these days, and I am pretty sure that they are deeply rooted in our national culture. The Customs official simply did not answer my email the first time. Nor the second time. Not even the third time. And it wasn’t because he felt as if he was better than me. Nor was it because he couldn’t bother. He couldn’t find the information needed to provide and answer and so he thought he couldn’t answer. How do I know? I got him eventually via phone and this is what was explained to me. The Supervisor downstairs didn’t answer my email the first time. Nor the second time. Not even the third time. Like the Customs official, he didn’t have the info to answer what I was asking. The Buyer didn’t answer my query about the timing of the shipment. Not because I had pissed her off one time too many (at least not in this instance), but because she didn’t have the info. So why is it so difficult to acknowledge the email and explain what is happening? WHY? Even if you don’t have the answer that you feel the person is demanding, just give the answer you can nuh…please? Please? Lord have mercy! When will we as a people recognize that to apologise for someone else’s discomfort or bad experience is not a sign of weakness? It is not even an admission of culpability. It is a refined, civilized and mature display of empathy and at its simplest level, is merely an acknowledgement of someone else’s disappointment. The Head of Department did not apologise for her team member’s rudeness to an outsider. The Customer Service lady did not apologise for the absence of that critical item. The doctor did not apologise for keeping her patients waiting. 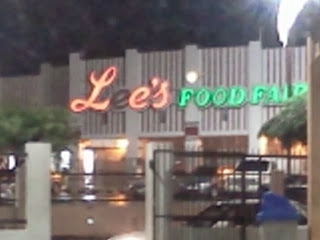 less than stellar Customer Experience at Lee’s Food Fair, Red Hills Road. I had picked up the children and needed to buy some groceries having just returned from an extended stay overseas. I had put in a full day at the office, the kids likewise had had a long day at school and we just wanted to get the grocery shopping chore out of the way and head home to deal with homework, have dinner and prepare for the coming day. I left them in the car, and headed into the grocery store. I started at the left hand side of the store, where the fresh produce section is. I wound my way efficiently up and down the aisles, picking up just what I needed. I eventually made my way to the opposite end of the store, to pick up what were supposed to be the final items on my list: chilled meats…you know, boneless chicken thighs, perhaps and piece of beef pot roast, maybe some pork depending on price. The shelves were empty. Nothing. No meat. No sign. Nobody. I looked around in wonderment, tired, slightly confused and became aware of rising irritation levels. I inhaled deeply and then pushed my trolley to the door to the supermarket’s back-room. I asked if I could speak to someone from the meat department. I really needed boneless thighs. I had promised my son to make garlic chilli chicken for him after he hugged me on my return and told me that he really missed my cooking. After almost 5 minutes, a gentleman in a butcher’s apron sauntered out and informed me that “the fridge nah work”. Duh. So can I get two trays of boneless chicken thighs please? “Mek mi see…mi nuh tink we have none”. Waiting…waiting…waiting…while he disappeared behind the doors. Enough is enough. I headed to the check-out area. While the cashier rang up my items (sans boneless thighs), I requested to speak to the Manager. “They are all in a meeting”. Businesses in Jamaica keep forgetting that the Customer is the reason why they are in any meeting to begin with; if we don’t buy what you are selling, you have precious little to meet about. I refused to budge. I spoke with two customer service reps behind the front counter and explained that I needed to speak to the manager, please tell him/her that I am waiting, and will continue to wait. I was determined to speak to a manager. 1. How dare Lee’s not demonstrate respect for the Customer by advising them that some core products will be unavailable by way of a simple sign at the entrance to the supermarket? Give us the option to shop or not. Do not treat us like a captive audience, taking our time, energy and money for granted. 2. Mrs. Lee (I asked her her name after I introduced myself…she did not think it necessary to introduce herself to me. Perhaps she thought she knew me? Or that I knew her? ) said that no one told her that the fridge had broken down. Top management has FAILED, if their Supervisors did not find it necessary to advise them accordingly. Top Management has further failed if not one supervisor could summon up initiative to get a sign in place. 3. Too often simple back-office fixes can result in a way more pleasant experience for Customers. There were other fridges/freezers functioning in the supermarket. All it would take is for someone with just a little energy to rearrange some of the items in these functioning freezers, and use freed up space to merchandise the now displaced offerings from the chill area, ensuring that signs in the malfunctioning zone pointed valuable customers to the new location, complete with an apology for the inconvenience. Mrs. Lee apologized, but I feel strongly enough to take the time to document this entire episode. My time is very valuable. I felt taken for granted. I hope Lee’s finds out why their supervisory staff have demonstrated such a laissez faire attitude towards the business that pays their salaries. I hope the person in charge of operations is made to answer for the lack of a work-around to a very real problem that the business experienced today. The Customer has options. So disappointed with what happened to me at Lee’s today. Posted on November 19, 2013 September 5, 2018 Categories Jamaican Society todayTags boneless thighs, Customer service, grocery, Lee's Food Fair, meat, operations, Supervisor, top managementLeave a comment on less than stellar Customer Experience at Lee’s Food Fair, Red Hills Road. MY LETTER TO LOGIC ONE LTD.
On Friday November 9 2012, I lost service at my residence. It resumed sometime on Monday November 12. I reported the loss of service via telephone on the evening of the 9th to a Customer Service agent named Trudy-Ann. I felt as if I was a bother to Trudy-Ann. She sighed at my questions and was unable to give a clear answer as to what was happening in the area. She suggested that it was perhaps due to a power cut. I spoke with Mrs.Levy on Saturday the 10th. 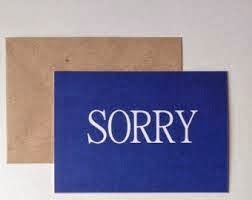 Mrs. Levy was extremely polite and apologetic. To this day I am still not clear what caused the loss of service. I was told that the lines were cut. Then I got a voice mail on my mobile phone confirming this. Then I was told by Mrs. Levy that Hurricane Sandy damaged the fibre optic cables. On Saturday November 17 2012 I once again lost service at my residence at about 1:00pm. I reported the incident by telephone immediately to Mrs. Levy. She suggested that it was perhaps due to a power cut on the line. She promised to call me back at 3:00pm that afternoon to confirm if service had been restored. I did not get this call. Today is Monday November 19 and I still have no cable TV. I spoke with a Customer Service agent, Zoe, who acknowledged that a team was just sent to the area. This is disturbing to me: 48 hours after loss of service, a technical team is just being dispatched. 1. My bill for November will not include the days that I was unable to enjoy the service that I pay for: this stands at 5 days as at time of writing. 2. What is the procedure for reporting emergencies outside of regular working hours? 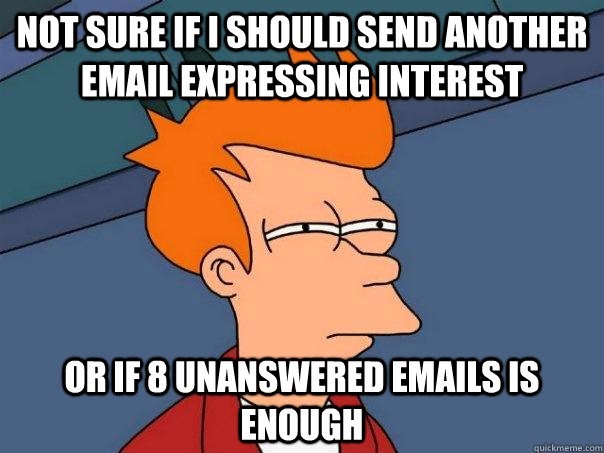 I am not always able to get the mailbox having dialed the Logic One number. 3. How do I know for sure that my complaint has been noted outside of regular office hours? 4. What is Logic 1’s agreement with its customers in terms of response time and resolution time when complaints are lodged? 5. What was the real reason for loss of service Nov 9-12 and for Nov 17 until now? Let me first apologise for the numerous interruptions in service due to damage sustained to our external plant as a result of Hurricane Sandy. Although the damage was not devastating, down trees caused breaks and stress fractures to our wires some of which were easily repairable whilst others were not. As it relates to Nov 9-12th, we assumed it was a power outage after we discovered there was not power at our device, only to discover that our main wires ( both fiber and coax) had been cut, this took us the better part of all day of the 12th to locate and repair the damage. The Nov. 17th complaint was due to someone cutting trees and chopping our main wire again and repairs were once again effected on the 19th. Mrs Levy advised me that a call was placed to you last night, at which time you confirmed service had been restored. Emergency calls are received by our in house voice-mail. Once a complaint is made in the week it will be addressed the following day and a call must be returned to the subscriber acknowledging complaint. On the weekends, the voicemail is checked remotely and calls returned to subscribers to either try and assist or if it is an area problem a team will be dispatched; however it is very important that you leave you name address and phone number in order for us to contact you, as this is normally omitted. Complaints are normally repaired within 3-5 days depending on the nature of the complaint and subscribers availability. Based on the number of days lost in October and now November we have decided to waive November fees, based on the fact you already paid for October and $2 towards November, this would easier than to re-calculating. Whilst preparing my response a copy of your email was hand delivered. If you have any further questions please do not hesitate to contact me or Mrs Levy. MY RESPONSE TO LOGIC ONE LTD. I appreciate your reply. Thanks for the explanations and the apology. Re: your SLA of repairs to be effected within 3-5 days, I am humbly requesting that you revisit the lower limit and challenge your operation to respond within at least 36 hours. Track it too, and use this metric to challenge your team to be the very best providers to your Customer base. JPSCo: Customer service or mere PR stunt? When JPSCo put full page advertisements in the press only a few weeks ago, I was puzzled as to the reason why. Afterall, JPS is a monopoly so it’s not as if they are grappling for market share. There were pictures of newly appointed parish representatives, but again, I was struck that there were no names and no contact information given. Fast forward to the recent devastation wreaked by Hurricane Sandy. Staring the sixth consecutive night of darkness in the face, I tried in vain to get contact information for my parish representative. I called the 1 888 Customer Care number and was told that they could not provide the information. To my distress, they could not give me any updates on my immediate predicament either. They made a great show of recording my name and number and recording the fact that I had no service. I fully understand that we just came through a natural disaster that no one had any control over. What disturbs me is the lack of credible information concerning when paying customers can expect resumption of service. JPS has ramped up its’ on-line presence, sending out frequent tweets and updating its’ Facebook page regularly. But the opportunities for actual dialogue are extremely limited. It is not enough for Customers to lodge their complaints into the void that is called Customer Care. How do we know that our issues are understood? Who can we speak with in order to get clarity and understanding? We don’t even hear Winsome Callum or Ruthlyn Johnson giving updates anymore. Mrs. Tomblin herself is becoming the face of the company. Even so, I don’t really care. All I want is the ability to speak with someone about my issues and to have reliable service. It seems to me that JPS is confusing Public Relations with Customer Service. What else would you call faces without the ability to contact? What else would you call a 1 888 number that takes your details and never calls you back? I’d like to remind them that the best customer service is reliable and efficient delivery of the product/service. PR stunts only serve to anger and frustrate. Posted on October 31, 2012 September 5, 2018 Categories Jamaican Society todayTags Customer service, J.P.S., Jamaica, JPS, JPSCo., Kelly Tomblin, light, monopoly, public relations, SandyLeave a comment on JPSCo: Customer service or mere PR stunt? So I had an hour between assignments in Kingston last week Friday morning and I decided to have coffee at Cafe Blue in Sovereign. It wasn’t crowded at 8:00am and I placed my order for a large latte and smoked marlin on a wheat bagel. The cafe is a very comfortable space and it smelled like heaven (we do have the best coffee in the world you know!). The person who took my order appeared to be the manager/supervisor on duty and she was pleasant and welcoming. So I sat, exhaled and took out the daily newspapers, grateful to start my day in such a relaxing way. Ten minutes passed…then 15 minutes…then 20 minutes…I started to get edgy and restless now…I noticed the place filling up, and then I noticed a couple who had come in after me being served. Okay…maybe their order was simpler than mine…no problem. Then I noticed a man who had come in after me being served….not cool! And by this time, the woman who was directly ahead of me had finished eating and got up to leave. All this time, none of the staff noticed that I was simply taking up space with no coffee, no nothing in front of me. I tried to catch the eye of one of the wait-staff, but that never happened. By this time I was steaming. I absolutely hate when my time is wasted or taken for granted. So I got up after 25 minutes and went to the counter and said: “I’d like to leave now. May I get a refund?” The cashier/supervisor looked at my receipt and said: ” Oh no! Sorry. Please don’t leave”. I looked her dead in the eye and gave her the Kelly stare and repeated that I’d really like to leave. But truth be told, I needed that latte…and I still had time. Still very put out, I sat back down and in 5 minutes one of the wait-staff bought my latte. She was pleasant and smiling and faintly apologetic, but had no explanation for what happened. So of course I asked her what went wrong…she shrugged and smiled nicely and said she did not know. Sigh. In another 3 minutes, my bagel was brought to me by the Cashier/Supervisor. She was very apologetic. But she offered no explanation as to what happened. You know I asked what went wrong. She said something about my order being overlooked and again apologized. 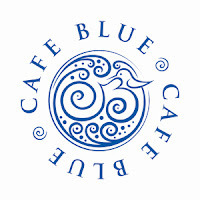 Here’s what Cafe Blue did right: They apologized when I brought it to their attention that I had been overlooked. The staff including the manager were totally unaware of what was happening in the small space that they managed, and how pleased or not their clients were. A simple scanning of the room at 3minute intervals to ensure that all was as it should be would have clued them in to the fact that the hottie in the corner (me) had been sitting sans coffee for far too long! They offered zero compensation for my inconvenience. I was sharing with my Bestie how absolutely put out I was at the treatment that was meted out to me at what he considers to be his favourite coffee spot. 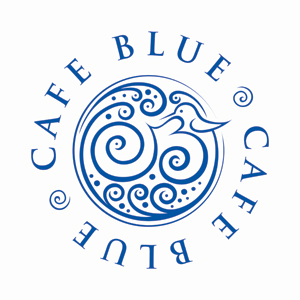 I thought that it would have been a great touch for the cashier/Supervisor to offer me a muffin or a small gift voucher to use on my next visit to Cafe Blue as a gesture of goodwill. In fact, the voucher would have been a brilliant peace offering, as it would go a long way in ensuring that a dissatisfied customer would return in the future for another chance to be wowed by great service and food. He shook his head sadly and said that they staff were probably not empowered to give away a muffin or a JD300.00 gift voucher. “Only at the Ritz-Carlton can you expect that type of service, Kelly.” He related a story about his having to wait in line in a certain store in the USA for 30 minutes and how apologetic the sales clerk was when he got to the top of the line. That sales clerk rang up the phone case that Bestie was buying and gave him for free! The latte was all that I had anticipated and the bagel and smoked salmon on point. It wasn’t the food that left that bad taste in my mouth. I work hard for my money, so when I spend it, I want to feel appreciated. After all, in most cases, I have a choice. Here in Jamaica, we’ve been slow in recognising the need to make Customers happy. The social anthropologists among us can go to town postulating as to why this is indeed so. So anyway, when I do have a good experience in the places where I spend my money, I like to share them. Amazon blew me away when I broke my Kindle last year and they replaced it without blinking an eye, also crediting my account with the USD50.00 that it cost me to ship the damaged one from Jamaica to the States. My expectations were exceeded at no cost to me. The female pump attendants here are always smiling. It’s amazing how something as simple (and free!) as a smile can transform the interaction between customer and server. They always end the transaction (still smiling) by wishing me a safe journey. One night I couldn’t stand it anymore and I asked to see the supervisor. 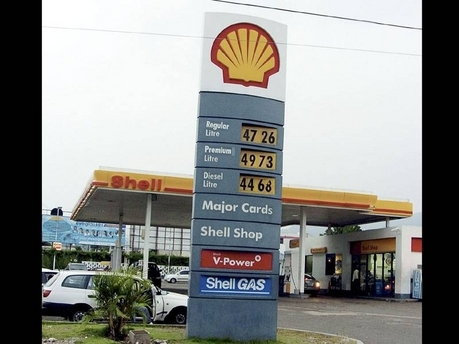 I told her that I had been buying gas here for years, but that in the last couple of weeks, the staff has been so friendly and polite and I wanted to know what happened! She told me that the team meets for a few minutes before start of business and sets the tone for the day. I congratulated her and told her to keep up the good work. I can get gas anywhere, but the consistently pleasant interactions keep me coming back. So last year this time I bought a TV at Courts. At the time of purchase, the clerk advised me to purchase the warranty with a bit of advice about buying electronic items without this little bit of insurance. So I did. In late December, the TV started showing an awful green tint that would most times disappear about 30 min into viewing. But it was damned annoying! My heart was heavy as I contemplated lodging the complaint with Courts…I really couldn’t find my purchase documents, I thought I’d have to schlep the damn thing to Courts, I quivered at the thought of only one TV left in the house while they dealt with the green one and I groaned inwardly at the thought of what I was sure would be an unplanned expense. Anyways, the horrible green tint aggravated me long enough (2 months!) and I dug one night until I found my purchase documents. I went to Courts and lodged my complaint. I told the Customer Service rep dealing with me that I almost couldn’t find my documents. She smiled sweetly and and assured me that all my information was in the system and it wouldn’t have prevented them from attending to my issue! She said a technician would come to my house, assess and decide whether to repair or replace. Amazing! Yay Courts Jamaica!!!! Long story short: that complaint was lodged at noon. At 6pm that same day, a well dressed and well identified technician showed up at my house. He was professional and efficient and in 15 minutes my TV was fixed and re-installed! My need was met without any hassle whatsoever to me. When a dead battery left me high and dry, totally immobile at my house this past Tuesday, I determined that I must never again be in a situation where I have to be calling around and hoping that someone would rescue me! So after my local taxi-man came and jump-started my car and I dropped the kids to school (not too late!) and replaced my battery, I settled down at my desk and called these JAA people. The lady I spoke to assured me that had I been a member, all I would have to do is call the number on my membership card and they would come and bail me out! Note that I had called my insurance company who are supposed to have a roadside assistance plan, but they totally blew me off and told me that roadside does not extend to my garage! Next time I’ll push the damned car out to the road and give them a call! Rubbish! I will be dealing with them later and will simply switch providers if they will not meet my need. Miss JAA filled out a membership application form over the phone, advised me of a promotion going on (50% off current rates!) and told me that she would send someone to collect payment. I am now a JAA member without even leaving my desk. My need was met without any inconvenience to me. They also have a great website, where you can join and pay over the web. Rock on JAA! Right. So I drove into Chad-Ad on Marcus Garvey Drive where I had bought my now dead battery 1 1/2 years ago. Note that there was a warranty on my battery for 1 year, but I had totally voided the terms of the warranty in that I did not have them inspect the battery every two months. Anyways, the same mechanic who installed my battery 1 1/2 years prior was still there and he inspected by battery and tested stuff that I suppose was relevant while I waited in air-conditioned comfort. He came back with the verdict: the battery had a defective cell. And while I had not honoured the terms of the warranty and while 12 months had long gone, they would give me a 33% discount on a new one. Furthermore, they were out of stock of the battery I needed, but another of their outlets nearby, had in stock, and would I wait just a few minutes for them to get it for me…Oh yes indeed!!!! I drove out with a new battery, having saved some money and yes, this time I’ll honour the terms of the warranty. My need was met, I was comfortable and I saved money.